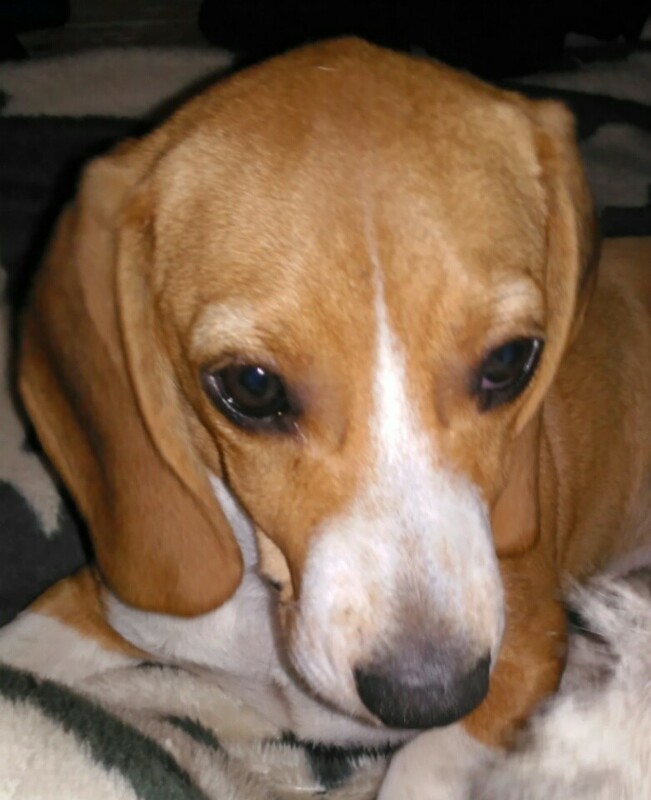 Penny loves to chase a ball, and fast, even if her depth-perception is a little bit off these days! She also has a "blankie" that she never goes anywhere without. 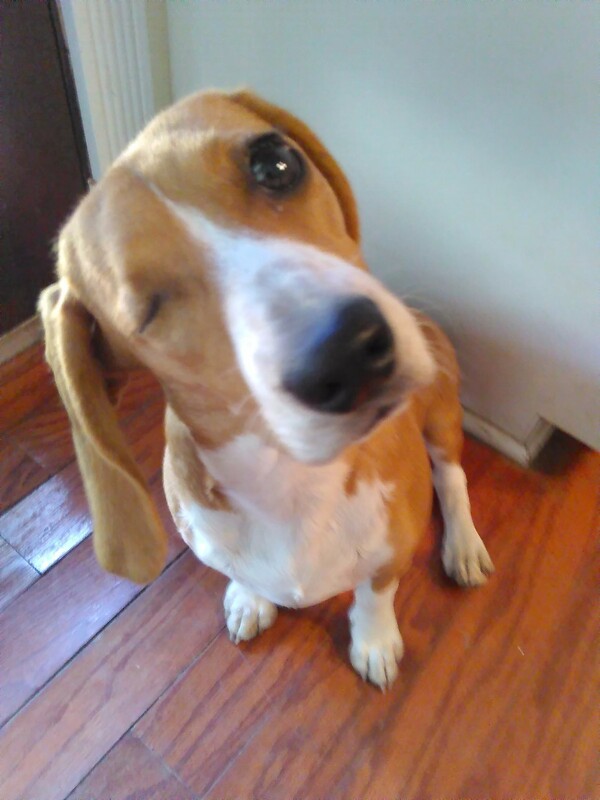 Penny was born with two lovely, soulful brown eyes, but lost her right eye to another dog about 1 week after we found her. At first we were understandably heart-broken and it was very tragic at the time, but as you can see in the photos, the injury never stopped her for a second! We decided then and there that pity and sorrow were unacceptable for our baby. 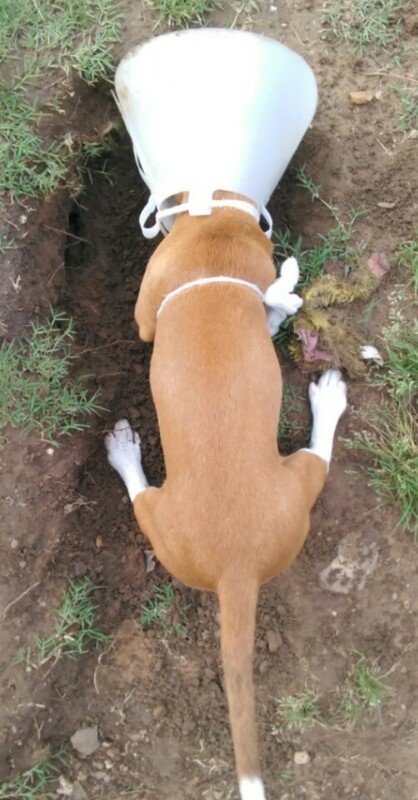 The cone on her head was to allow her injury to heal - she's digging that hole to China the very day after surgery. Wow! 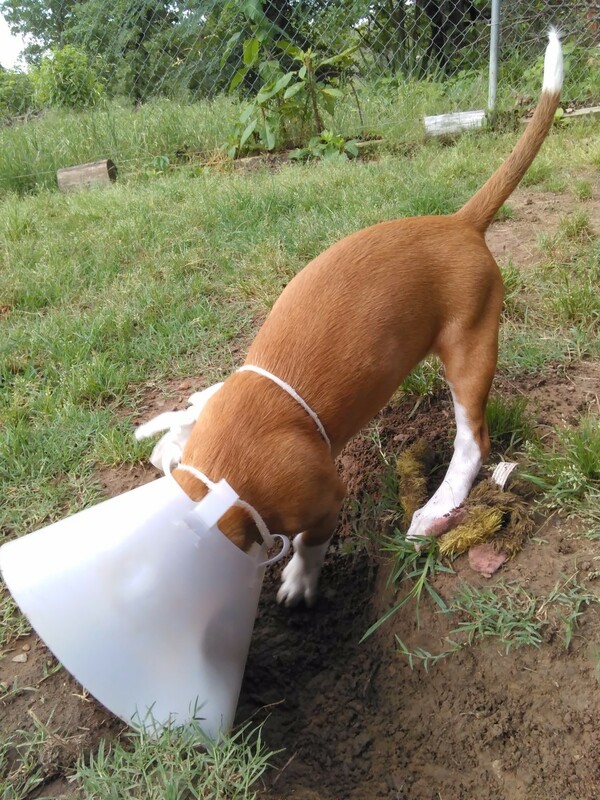 We beg all pet lovers to be prepared for emergencies! Being prepared saved Penny's life and our hearts! Post both the numbers to Poison Control & a 24/7 emergency vet on your refrigerator for quick reference, and keep emergency pet supplies handy. Ask your vet for a list of basic supplies, gather emergency numbers and BE PREPARED- do it now, and save the lives of those you love so much!